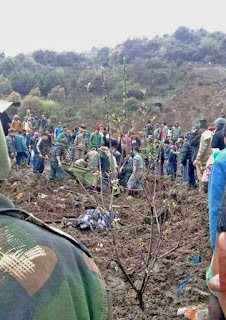 TAWANG, Apr 22: Landslide triggered by heavy rain washed out an entire labour camp killing 16 people at Famla village in Tawang. One out of the 16 dead succumbed to injury on his way to hospital, while three narrowly escaped death. Famla is located 2 km from Tawang headquarters. The mishap occurred at around 3.30 AM on Friday when the SP type building where the labourers were putting up was hit by the slide caused due to torrential rain. 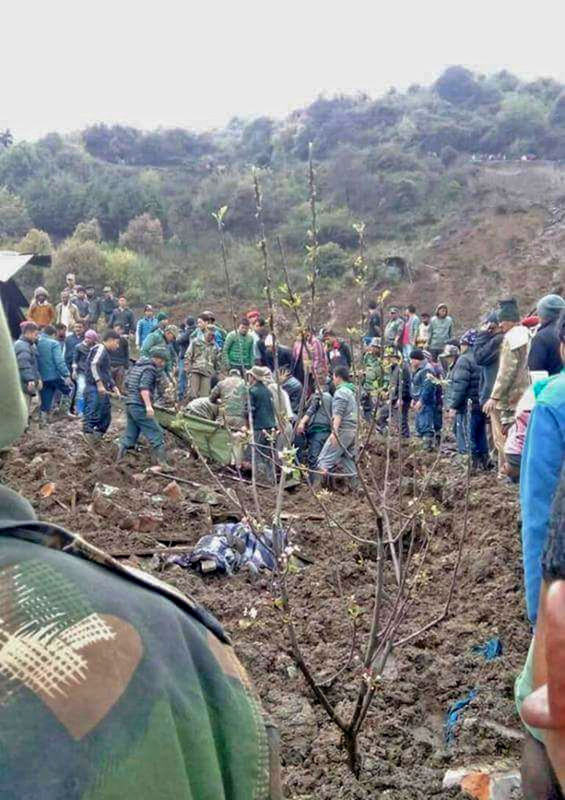 District police, Indian Army and local public of Tawang under took rescue operation which lasted for about 8 hours. 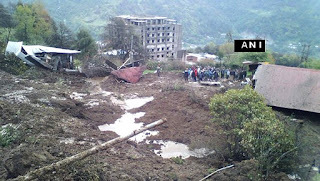 “Family members of the deceased have been informed about the accident”, said one of the survivors. The laborers were mostly from Assam and Nepal. Well, the pre-monsoon season has literally opened up with a bang! Sixteen people dead 2days ago and 2 more dying today (as per NDTV) in rain triggered landslides in Tawang, Arunchal Pradesh, India. What is scary is that the rains which caused these landslides were not the result of any major weather system - the SW monsoon is still a month away and in 2016 it is expected to bring heavier than normal rains (see previous blog).